At Disney, snacking is serious business. It’s practically its own meal! 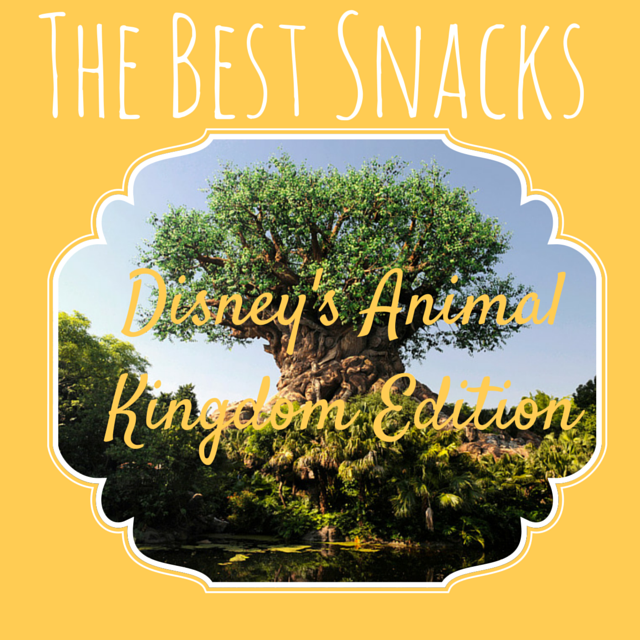 If you’re spending the day at Animal Kingdom, you’ll want to scope out the best snacks so you keep your taste buds happy and keep your energy levels up so you can check out all this park has to offer. If you’re looking for something sweet, this is going to be your go-to location in Africa. If you’re a coffee lover, they have chocolate covered espresso beans, or the chocolate waffle with espresso mousse. Now you know here at Dole Whipped, we love some pineapple soft serve and they have that here! You can get it straight up, or with Dark Rum or Coconut Rum, if you want a more adult treat. If you’re looking for something a bit healthier, you might try the salads at this stand. The “Trek Power Salad” has quinoa, beets, edamame, and citrus, while the “Farmers Salad” has blueberries, goat cheese, and candied pecans in a vinaigrette dressing. On the menu is Chilled Green Tea, Cucumber-Mint Pomegranate Lemonade, and Raspberry Lemonade sweetened with Stevia. All these things sound very light and refreshing and perfect for a hot day in Animal Kingdom. Maybe you’re not in the mood for a snack so much as a quick breakfast. This little coffee stop in Africa is a great place to grab a quick pastry and a cup of joe. They offer hot breakfast wraps, muffins, croissants, and fruit cups. For pastries you can choose an apple or cherry turnover, an elephant ear, assorted danishes, or the Warm Colossal Cinnamon Roll which reportedly serves two, but we’ll be the judge of that. To wash that down, they offer coffee, cocoa, cappuccinos, iced coffee with and without liqueur. After breakfast the bakery offers cookies, rice crispy treats, and gourmet cupcakes as well. The newest spot for all thing snacky is this little shop in Harambe Market. They have fun and highly decorated candy apples as well as candy bars, lollipops, and more savory items like flavored popcorn and spice rubs. You can also pick up a bottle of Flame Tree barbecue sauce to take home! If fruit is what you crave, be sure to stop here for fresh fruit choices as well as pastries and yogurt. Over in Discovery Island you can find this little has some very interesting savory items on offer. If you’re in the mood for carbs, grab a Mickey pretzel, and if you’d like a little heat with that try the Jalapeno pretzel. You can also try their Lobster Mac and Cheese or the Baked Three Cheese Pasta. All of them sound amazing! Also located in Discovery Island, this is the location to get your Starbucks fix! These two stands are going to be your stops in DinoLand USA for ice cream and waffle sundaes. Of course, there is no shortage of wonderful things to eat in Animal Kingdom, but this is a pretty good start. We’d love to hear what your favorite snack option is in this park. Let us know in the comments!